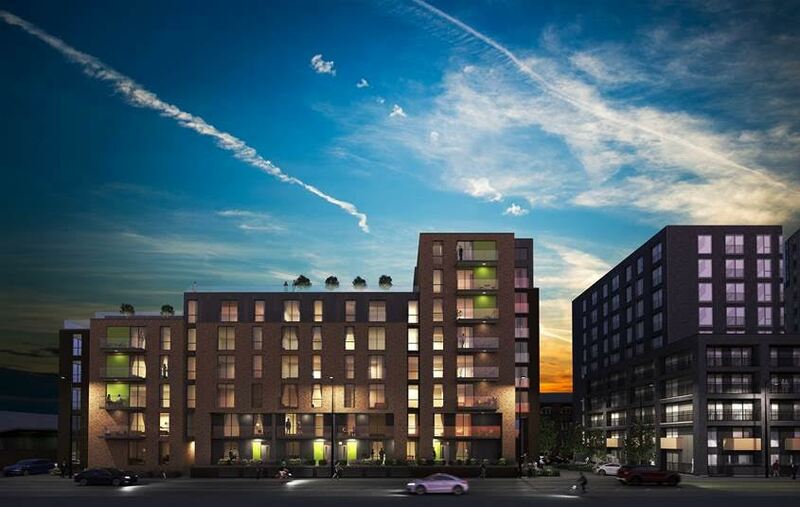 Work is set to start on a £26m nine storey apartment complex in Salford. The work will begin with the demolition of old semi industrial buildings on the site in Liverpool Street. The building is part of of an ambitious regeneration initiative in the area of Middlewood Locks and the development will provide 127 high quality modern homes for private rent. Property development specialist, High Street Residential – one of The High Street Group of Companies – acquired the site and Salford City Council has approved planning proposals for the nine storey building. It will take about a month to demolish the former decorating centre and adjacent tyre depot, paving the way for the construction of the apartments. Construction is expected to take around two years. The Middlewood Plaza apartments will use smart technology to support modern lifestyles and future proof these contemporary living spaces. Phone apps will ensure secure access, communication with management and neighbours, advise of deliveries and even control household appliances. There will also be communal relaxation and leisure facilities. Gary Forrest, chairman of Newcastle based The High Street Group of Companies, said: “Almost 19% of the UK population is renting privately and this figure is expected to grow significantly. “This style of living is becoming the choice of young professionals and in response, we are creating high quality living spaces, to meet the demand. “Our developments offer extremely attractive investment opportunities for institutional and individual investors who can enjoy yields and capital growth in excess of seven per cent per annum. Other planned High Street Group projects in the region include Cheshire Junction in Warrington – a £46 million eight storey, 362 unit development and a £22 million, ten storey, 156 unit complex in Trafford.